This is a bit of a rarity and I haven't seen another quite like this one that uses an MRE kit. I generally only see the Thunder Tiger version. 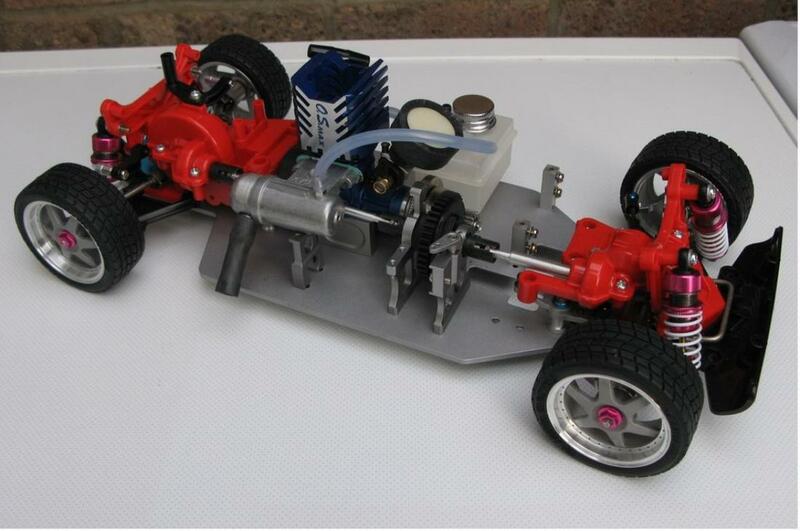 This is an MRE of Japan Nitro conversion kit for the Tamiya TA-02 chassis. I picked this up in Japan and set about building it into a model. I built up the front and rear gearboxes for the TA-02 and then mated them with the alloy chassis set. The chassis set has Japanese hand written instructions but nothing that really tells you what parts to use where. The plate is drilled to fit the old style Kyosho fuel tank so that's what I had to find. I coupled it with a NIB O.S. 12CV-X engine to give it the required look. The wheels are the solid metal Tamiya optional ones. Another great find ! I love these conversions. It even looks like it ill work with ta01 rear arms flipped forward, for the taisan bodyset. I just bought one of the thunder tiger conversions, and i am converting it to short wheelbase. Thanks all. Another unusual nitro for the collection. Lovely conversion, and a nice way to get around the somewhat 'fragile' original motormount.. Looks like it has a very long wheelbase to me? The wheelbase is much longer than standard. You've done a great job with this! Looks lovely!! As a TA02 admirer, I love it. Thanks. 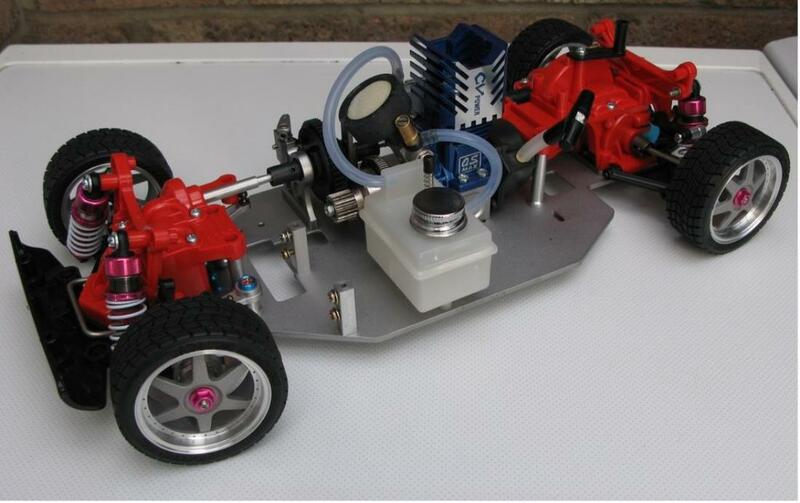 I have a few more bits to do to it I think as there are a few more Tamiya hop-ups I would like to fit. I also want to put body posts on as I think it helps with the look. top job, very cool, you have tested this car ??? i`m not sure if work propely, in my opinion the gears break easily !!! !